Leave the hard work to the professionals so you can sit back and relax and savor the delicious, already-prepared feast. Preparing Christmas dinner for a large group of people can be time consuming. With everything that goes into the Christmas season, adding dinner to the list can be daunting. This year, consider having your Christmas dinner catered in. Catering a Christmas Eve or Day dinner meal saves time. That is probably the number one reason to have the Christmas meal catered. Hours are spent in the kitchen preparing, cooking and washing dishes. By the time the guests arrive to eat, you are too exhausted to participate. Check out the extensive menus and place your order in advance - there are plenty of local restaurants and caterers offering exciting Christmas options this year. Be sure to check their deadline dates, and then pick-it up the day before or in some cases on Christmas. Follow the reheating instructions and eat. Catering menus can be ordered as full dinners or a la carte items. Your mouth will water when reading the menu items. Leave the hard work to the professionals so you can sit back and relax and savor the delicious, already-prepared feast. Don’t stress over Christmas dinner. Use this list of caterers and grocery stores offering prepared Christmas Meals, sides, appetizers, and desserts. A relaxing and delicious Christmas is only a phone call away! Locations in Smithtown, Port Jeff Station, East Meadow, Massapequa and Port Washington. Complete dinner feeds 12-14 people. A la carte menu options are also available. Both complete dinner packages and trays of individual menu items are available at all locations. Their menu includes classic dinner packages. Order their special Family Christmas Dinner or choose from their extensive separate dishes. They feature a menu of delicious choices on their Christmas Feast menu. They make sure that Christmas is the most delicious holiday of the year. All items are packed in microwave and oven ready trays. Choose from Beef Wellington for 12 to Honey Baked Spiral Sliced Ham with Apricot Mustard. They have everything you need to make that memorable holiday meal. Holiday specialities include pork loin, stuffed crown roast and spiral honey glazed ham. 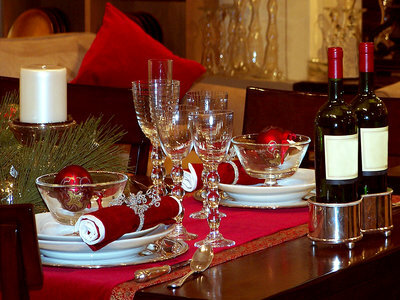 Let us know about your favorite holiday dinner caterers on Long Island.com Forum! Subject: LongIsland.com - Your Name sent you Article details of "Tuesday's Top 10: Christmas Dinners That are Ready to Heat and Eat"